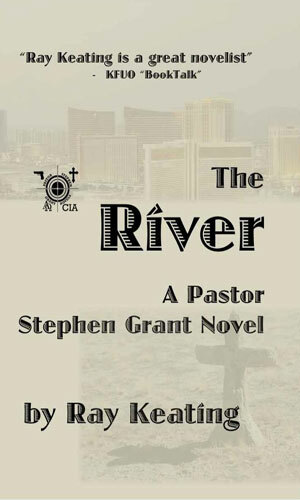 Stephen Grant is a pastor. More specifically, he is the 42-year old pastor at St. Mary's Lutheran Church in the Pine Barrens, a middle section of Long Island, New York and has been for several years during which time he has tended his parishoners well and dealt with temporal matters while helping them with spiritual ones. As the series begins, he is enjoying the fruits of a recent project of his congregation, the building of a new church replacing the aging one. He is also ruefully relishing the fact for a short time at least he is done dealing with local politicians and red tape. The four years it took to bring the whole thing from concept to completion has been a chore but he is very pleased with the result and enjoys a reasonable amount of pride in the accomplishment. He also, truthfully, has to wonder if it "is his church or His church". He has the good grace to do that pondering with a bit of humble smiling. His quiet, pleasant life as a parish shepherd is a wonderful change from his former life and one he would not have considered possible back in the day. Then again, the job he had for many years as an adult was unlike what he might have considered growing up. He was born and raised just outside of Cincinnati and had a pretty good lower middle class life. He was a typical child who loved sports and reading and had the usual assortment of friends. As he grew into his teen years he developed a love of discipling his body and "improving his warrior skills". The challenges and satisfaction at succeeding them took him through his college years and then came the need to decide what next. The military called to him - the need to serve while also still pushing himself. It was not a surprise that he not only joined the Navy, he went into the most physically challenging job it offered and went out for and became a Navy SEAL. He was with that group for only a couple of years before his skills and abilities came to the attention of the CIA and as the 90s came he made the switch. He worked for the Agency for another ten years at least. He told any civilian who might ask that he was an analyst and he did at times sit in a cubicle at Langley but he was in the field as an operative more than not and someone of his talents is inevitably sent into harm's way. He survived but the occasional taking of life that his profession required began to weigh on him. It was not that he was tortured with what he had done for he never did anything that for which he felt the need to atone. He killed but never wantonly or maliciously. He did it to survive or help others do the same. Nevertheless, it gradually wore at him and after a particularly vicious attack on him in a church of all places, he decided a change was in order. Grant, though he might have traded his cloak and dagger in for a Bible and a hymnal, did not change into a different person. He still "enjoyed being a theological s**t stirrer". He still involved himself in physical activity, though golf was his main sport now. He still keep a couple of firearms locked in a hidden place in case of trouble. And he was still more than ready when the need for action came about. 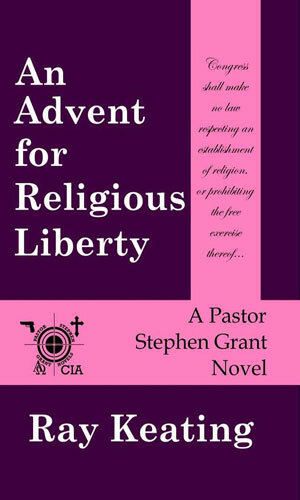 The quiet, serene life of a parish pastor is quite a bit different from his former career in the CIA but Stephen Grant prefers it. 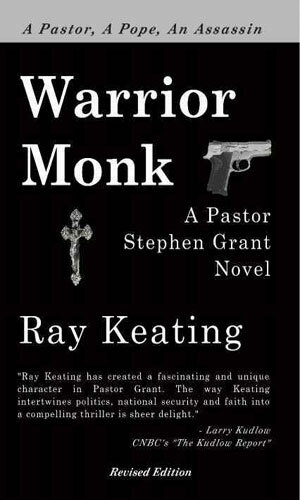 A shooting at his church and a threat on the life of the Pope suddenly make both lives connect. 2 Root of All Evil? Money and politics mix too easily. Politics and religion clash very easily. When all three come together, Stephen Grant is up to his neck in trouble. Stephen Grant is asked by the Archdiocese of New York to look into the recent campaign by that city's mayor to brand the Catholic church as a "hate group". 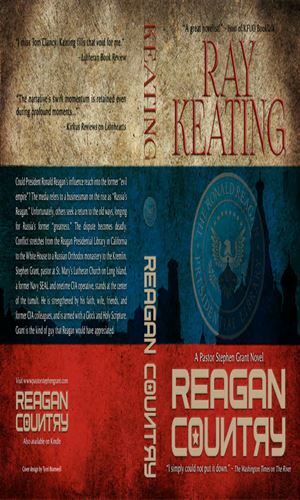 The training Stephen Grant got as a SEAL and then a CIA agent become vital when his wife is kidnapped and Grant must head to Las Vegas to take on some very unpleasant people from his past. 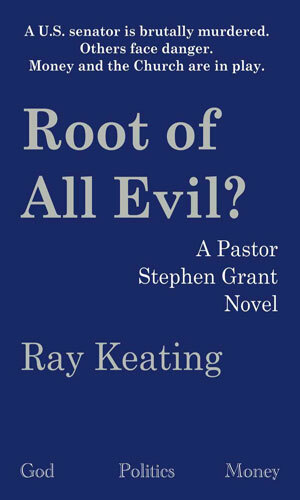 Stephen Grant's world gets complicated yet again when the rescuing of a Christian family from Islamic terrorists gets mixed in with a string of very unpleasant murders. 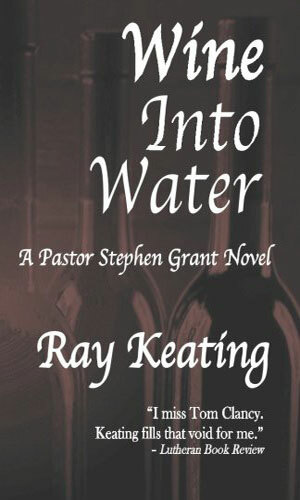 The counterfeit wine business can be murder as Stephen Grant finds when he is asked to look into this lucrative larceny. Islamic terrorists strike inside the US going against both politicians and the clergy. 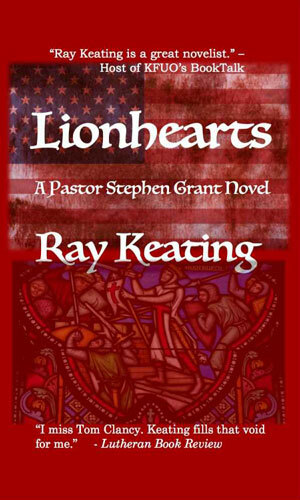 Stephen Grant is reluctantly pulled back into his old existence to stop them. A highly successful Russian businessman is being hailed as "Russia's Reagan" and is pushing for change in his country. Hard-liners are pushing back, wanting a return to the greatness of the Soviet Union. 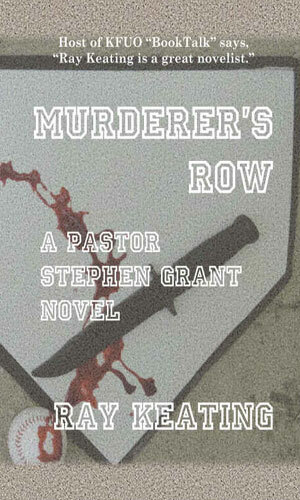 Without wanting, Pastor Stephen Grant will be pulled into this shoving match and there will be considerable trouble as a result. Stephen Grant finds himself in an unusual place doing an unusual task. He is at a comicbook/fantasy convention where one of the greatest comicbook writers and artists is being threatened. When someone close to them gets kidnapped, Grant gets active. 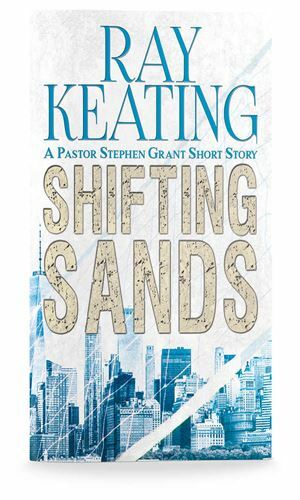 A major beach volleyball tournament has come to a pier in New York City and Stephen Grant and his wife and friends are attending with some very nasty activity starts up and Grant finds himself forced to step in. This is a fascinating series. In no way is it an action-packed car-chasing bullets-flying extravaganza but neither is it a snoozefest. It has action in it but it builds up to it gradually and logically and does not, in the books I have read, ever go over the top. Grant has seen his share of danger and he does not hide from it when it comes but he also definitely does not go looking for it. He gave up that life and he does not want it back. The books do have, though, a lot of thinking going on. A lot. And though I have always thought of myself (rightly or wrongly) as a pretty intelligent guy, a lot of the philosophical and theological musing that goes on between the characters (luckily never when the action is going on) is WAY over my brain. I tend to find myself nodding and saying, 'Ah, yeah, sounds right to me'. Unfortunately I do this regardless of which side is talking. Now this says a whole lot about how smart the author is and how well he presents different sides of an argument but it also says a grunch about there being a lot over my aging head. 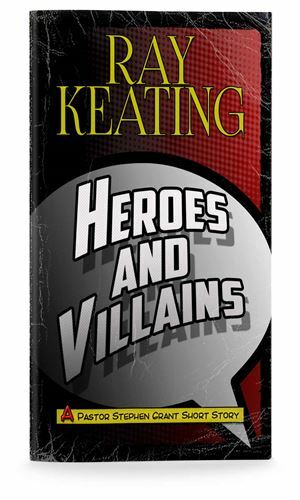 The writing is terrific and the characters are wonderfully people you have most certainly met in your life. The author does a very good job of not making the participants stereotypes. It is enjoyable to see people, especially those I might not agree with, go about their business in sensible realistic ways. It is also good when Grant stops some of them rather forcefully. Speaking of the people, the author's skill at creating a cadre of repeating characters is awesome and extremely enjoyable. I got to liking a lot of them and smiled when they showed up, knowing what they brought to the events and what some of them would likely do to the miscreants. I also found out the hard way that no one is invulnerable. People die and sometimes they are people you like. I first wrote my comments after finishing the second book. That was enough to be able to write with some knowledge. But darn it all, even after my first draft of comments was online, I moved on to the third book. Then I was going to modify my words a bit but held off while I read the fourth. And then the fifth, sixth, and finally the seventh. When I finished that one, the last out at the time, I checked the copyright date to see when I might look for the eighth. It is pretty clear how much I liked this series. As spy books go, it has lots and lots of actions. It has a whole lot more thinking than most genre books do. It definitely has more actual preaching (sermons) and prayers. Most importantly, it has a ton of humanity.